The Bampton and District Local History Society aims to record and investigate the physical and social history in the Bampton area. Our programme of meetings is primarily focussed on specifically local subjects, with an emphasis on seeking out Bampton's history 'on the ground'. We do undertake specific projects and will aim to record their proceedings here online, as well as build up a physical archive. Bampton is on the east side of the Lake District near Shap and Penrith in Cumbria, England, UK - map. Our area primarily includes Bampton, Bampton Grange, Burnbanks, Rosgill, Butterwick, Knipe and Mardale. Nearby areas include Shap, Swindale, Helton, Whale and Askham. 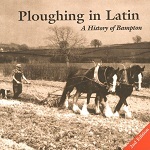 We have produced two books: "Ploughing in Latin" and "Cast Iron Community". These may be available for purchase locally or by mail order as described below. Tinclar's Library is sited in Bampton Grange - this is usually open the first Monday evening of every month. The North West Water Authority (NWWA) was created by Act of Parliament in 1974. Charged with reviewing the available water supply, the NWWA concluded that there was insufficient to meet future needs. 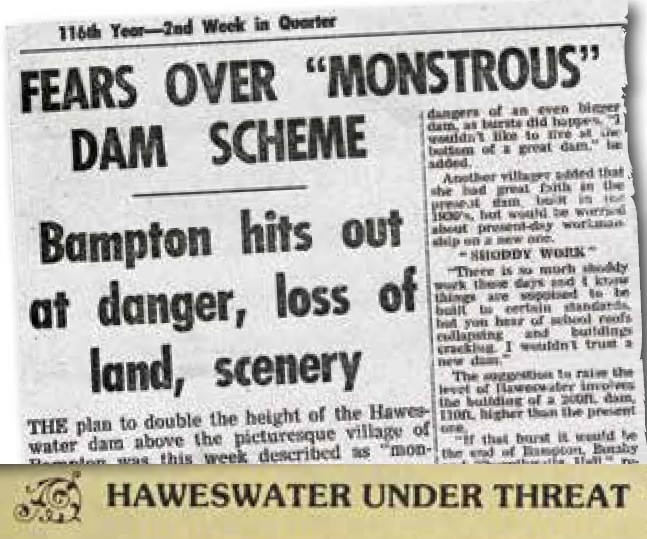 In 1976, it announced plans to increase the amount of water it abstracted from several sources including Haweswater. Local people feared that the NWWA would transform Haweswater into ’a vast storage tank’, held back by a new, higher dam. The NWWA presented their controversial proposals to a public meeting in Bampton Memorial Hall on the 24th February 1977. There was strong opposition and it was immediately decided to form a committee to oppose any enlargement of Haweswater. The Haweswater Action Committee (HAC), a small local group, took on the large, regional power of North West Water. 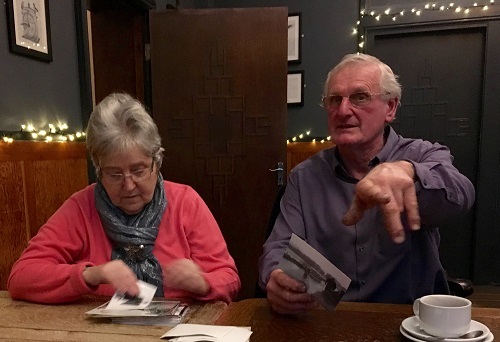 Scrapbooks, photos and personal memories sparked memorable exchanges at BDLHS 'Winter's Tales' event, held 4 December 2018 at the Haweswater Hotel. Learn about the tragic death of Robert Noble Wilkinson and George Ashworth who drowned in Haweswater in 1874 in this article by Raymond Greenhaw posted in 2016 and in this more recent revision by Richard Jennings (2018). Both references are independent works not carried out by Bampton & District Local History Society members. John Garside has compiled a fascinating report after a BDLHS visit to Widewath in May 2013. This report on the history of Bampton Commons was compiled following the University of Lancaster ‘Commons Stories’ Cumbria workshop held in November 2012. 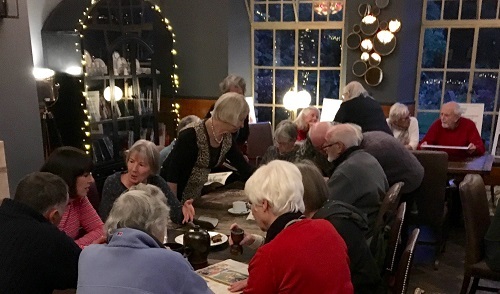 Local historians, commoners, and other local people from Bampton attended the workshop and subsequently they provided a valuable platform for the research. 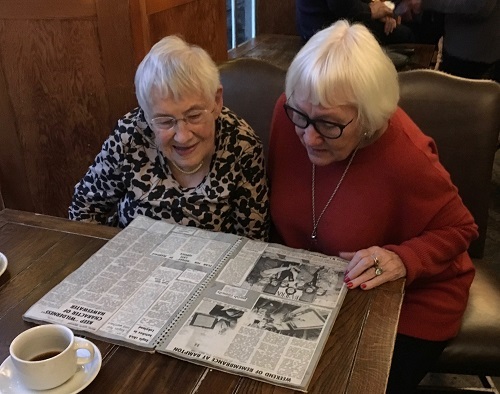 The aim was to discover how Bampton commons had changed since 1900 in their use, appearance and governance with an emphasis on oral as well as documentary evidence. Bryham House, Low Knipe, Askham, Penrith CA10 2PU - contact us. 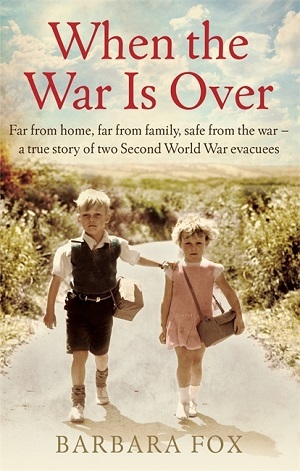 One book £17 inc P&P to the UK. Cheques should be made out to "BDLHS". Or from: Bampton Village Stores, 01931 713351. Unless otherwise indicated, meetings commence at 7.30 pm and are held in the Bampton Memorial Hall. Members £1, Visitors £3. Exploring Truss Gap Past and Present - Meet at the Memorial Hall at 7.15pm for car sharing. The Society is a Member of the Cumbria County History Trust and members of the Society are actively involved in its work. The Trust was launched in May 2010 to coordinate and gather resources for the Victoria County History of Cumbria project, a collaborative community project created to research and write the histories of all parts of Cumbria, and to make historical information generally available, within the framework and standards of the Victoria County History of England. The aim is to initiate a step-change in the awareness and understanding of Cumbria’s local historical heritage, by harnessing the enthusiasm for local history which exists widely across Cumbria, and pooling expertise with a view to eventually producing a series of ‘big red books’, covering every parish and township in Cumbria. The Cumbria County History Trust is a charity which any interested individual, history and heritage society, museum, or commercial organisation can join. Full details can be found on the Trust’s website, www.cumbriacountyhistory.org.uk. 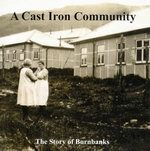 "Cast Iron Community" was awarded first prize in the Business and Industry section of the Lakeland Book of the Year 2007 competition at a special literary luncheon held at the Langdale Chase Hotel, Windermere on Tuesday June 26. Bob Dickman (President), Jane Gregg (Editor) and Pat Garside (Burnbanks Project Coordinator) received a gold framed certificate and cheque for £125 on behalf of BDLHS. Pat Garside said later: "Heartfelt thanks to all of you who participated in the Burnbanks project and whose contributions helped us to produce the prizewinning 'Cast Iron Community'. It was a sustained community effort that enabled us to tell the remarkable story of Burnbanks." The competition was organised by Cumbria Tourism and celebrity author Hunter Davies. The Bampton Tithe Map of 1838-9 and its apportionment schedule shows how much tithe was due from each farmer each year. The Tithe Map parchment originals are very large and delicate - one is kept in the Kendal Record Office and another in the National Archive at Kew, London. In a recent project using an Awards for All grant, Bampton and District Local History Society transcribed the tithe map entries into a database - view the tithe map agreement, schedule and database online. August 2007: We have just updated the tithe map database with an extra field containing current property names. This information was painstakingly collected by John Stacey and is a good addition to the database as it is probably what people will search on first! The annual membership fee is £6, payable annually on 1 April. BDLHS is a member of Cumbria Local History Federation. Shap Local History Society and other information can be found at www.shapcumbria.co.uk - click on History on menu at left. We are not able to assist in enquiries regarding family ancestry, records of births, deaths, etc. Our archive does not contain any such material. The only reference to individuals we hold are names who may perhaps have been mentioned in course of an interview, or any of our recent projects we have undertaken. "web who is at bampton-history.org.uk"